'Tis the season for developer-centric conferences by our tech overlords. Microsoft, Google, and Amazon all wrapped their conferences, leaving Apple as the final household name to roll out their big news to the world. There is a lot to cover, so in this article, I lay out the more significant announcements. WWDC is Apple's worldwide developer's conference. Held out the San Jose Convention Center in San Jose, California, Apple is hosting over 5,300 developers from more than 53 countries. 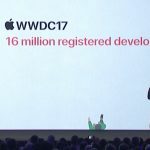 Developers come to the conference to learn what is next so they can build the next great app, service, or device to compliment Apple's latest offerings. For this conference, Apple made six big announcements. Apple TV is a popular device that connects to your television. Apple's latest incarnation allows you to play video games and watch content from the most popular providers, such as Netflix and Hulu. Unfortunately, there is only one video provider that still lacks a presence on Apple TV, and that is Amazon with their Prime Video service. Apple's Tim Cook hinted at more Apple TV announcements to come later this year, so until then, that is the one big announcement. Not surprisingly, Apple introduced WatchOS 4, the latest version of the Apple Watch that will release this fall. Ever since the release of the watch, Apple has been gradually fixing up awkward user interfaces and improving upon its health capabilities. This year, Apple shows continued health improvements, along with machine learning and AI (artificial intelligence) capabilities. By using machine learning and AI, WatchOS will start to recognize when you work out and send you notifications as to how long it will take to arrive at the gym. Further, as WatchOS recognizes the types of activities you perform, it will even create personalized goals, such as the one shown in the following image. Connected devices are all the rage right now, so as not to be left out, Apple is introducing a new technology that allows you to sync your workout plan with modern gym equipment. Mickey and Minnie Mouse are quite popular with Apple Watch users, so there is now a pack of new faces from the popular Pixar Toy Story movie series. A new kaleidoscope watch face will take photos from your Apple Watch and turn them into trippy animated images. Users now have the ability to create multiple playlists, like a running mix or a swimming mix. There will now be Bluetooth support. WatchOS 4 is available now in developer beta, will be offered as a public beta later this June, and the final version will be available this fall. Apple made some big announcements today with the Mac, showing their commitment to compute-intensive products, along with significant improvements under the MacOS hood. Safari will not play video on load, blocking those annoying ads that start playing with full sound on the browser. You can still play the video, but that is your choice to do so with the new Safari. Machine learning and intelligence to greatly reduce the chances of companies tracking your every move on the web. There are now new editing features in the Photos app. Improvements have been made to the Mail app. Apple's modern iMacs are desktop computers that are nicely packaged directly into a beautiful display. The new iMacs will all get an update to Kaby Lake processors and modern graphics cards. The new iMac Pro was a big surprise and is packed with features. It comes packaged with features like a Retina 5K display, an 8-Core Xeon processor, Radeon graphics, a 1TB hard drive, and yes, even a 10Gbit Ethernet port. Professionals can even increase the processing power to 10 and even 18-Core Xeon processors. The new iMac Pro will be available later this year. The MacBook Pro is popular laptop, but this is clearly a refresh year for the this device. Pricing does not change significantly, but users will find the latest Intel Kaby Lake processors, SSDs that Apple claims to be 50% faster, and faster standard graphics in the 15" MacBook Pro laptops. Aside from the iMac Pro, the new MacBook Pro and iMac lineups are available today. This being a developer conference, Apple needs to remain competitive in the mobile market. While there are many more Android products in the marketplace today, Apple points out that their users update their operating system frequently to make use of all the new features. As you can see in the image below, Apple claims the installed base of users who can update to iOS 10 is at 86%, where Android 7 is only at 7%. Apple is sending an important message to developers: stick with us, and make use of our new features. Apple further hits this point home later in the iOS 11 announcement by sharing there are over 180 billion app downloads and $70 billion dollars have been paid to iOS developers to date. Apple Pay is a popular transaction processing platform on iOS. Rather than pull out your credit card to pay for items, you tap your iPhone to a reader while pressing your finger on the fingerprint reader. With the current incarnation of Apple Pay, you can only pay companies using those special readers. As you can see in the image below, iOS 11 allows you to send and receive money with your contacts from directly within iMessages. The new payment method should be especially attractive for your party planner friends who are constantly trying to get people to pay for those movie and show tickets. Apple offers many APIs for developers, and they tend to end in the word kit. For example, there is SpriteKit, HomeKit, and much more. The latest API is ARKit, where the AR stands for Augmented Reality. If you ever played Pokemon Go and hunted Pokemon on your streets, then you already get a sense as to what this is. Essentially, the ARKit is going to make it easier for developers to create interactive apps and games that will recognize what you see on the camera. In the image below, you can see a video game playing on the iPad that is laid out on a table. Of course, the table does not display the game, but the iPad does, and it knows the size of the table, the angles, and other dimensions to properly fit the gameplay into the screen. It is yet to be seen how accessible this technology will be without a headset of some sort, but Apple is proclaiming they will have the largest installed base of AR devices in the world after the release of iOS 11. A new do not disturb while driving (dndwd) feature that allows you to lock your iPhone out of messaging while you are driving. This feature is something the user must turn on, but iPhone does detect when it is in a vehicle and will prompt you to activate the dndwd feature. A new App Store user interface that emphasizes apps and games as separate categories with a more immersive experience. Natural language translation, currently from English to other languages. You can ask Siri to translate a sentence, and she will convert it to the language of your choice. A new Files app that allows you to browse your iCloud files, including those from traditional services like Dropbox, Box, and OneDrive. With iPads, you can drag-and-drop files, links, and much more from one app to another. iOS 11 is available as a developer beta today, will go into public beta later this month, and will release in the fall. Apple announced the most popular iPad on the market is the iPad Pro 9.7" model. Today, Apple announced the new 10.5" iPad Pro. Still weighing in at about 1 pound, the iPad Pro 10.5" will sport a full-size on-screen keyboard, with the option of a full-size smart keyboard. A major new announcement for that device is a 120Hz refresh rate, that is double any other iPad available today. As you can see in the image below, the iPad will adjust refresh rates based on the content you are viewing. The iPad is starting to look a lot more like MacOS, and with iOS 11 on the iPad, it becomes even more apparent. For example, users will enjoy a dock that can contain more than just a set number of apps and an app switcher. You can see both of these features in the image below. Amazon has the Echo, Google has the Home, Microsoft has Invoke, and now Apple has HomePod. Billed as a music-first speaker, this little 7" tall device is supposed to, as Apple says, rock the house. Since a device like this can only be heard in person, it is not easy to tell yet just how good it sounds and how loud it gets. As you can see in the image, the overall design is clean and from pictures, I have seen will require a plug, so I doubt there will be a battery to carry it around the house. Of course, Apple is courting developers to create voice commands that extend Siri and the HomeKit so you can tell Siri to dim the lights or lower the curtains, but this week Apple is pushing this as the best speaker for your music. HomePod can also detect other HomePods in your house so that they can extend the music to other rooms. Apple hinted at more features the HomePods will offer when you have more than one in the home, so I suspect there are more announcements to come as we get closer to the release at the end of 2017. And that's it. Apple appears to be taking this year to double-down on performance improvements and APIs over flashy new operating system features. It will be interesting to see if HomePod takes off as a device people will want in their homes. Of course, no new announcements have been made relating to the new iPhone, so I am sure there will be more to come as we head to the fall in the September/October timeframe.